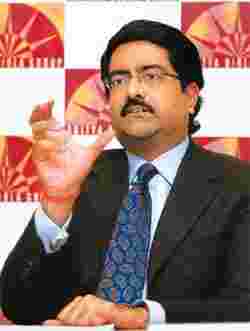 Mumbai: Kumar Mangalam Birla, 42, chairman of $29.4 billion Aditya Birla Group, will show “more firepower" and “more aggression" to grow the group’s cement business through UltraTech Cement Ltd. He’s confident that post-merger, the company will outpace the market which is growing at about 10% with a larger balance sheet and greater financial flexibility. In an interview with Mint, he dismissed market speculation on similar restructuring in aluminium maker Hindalco Ltd but didn’t rule out the possibility of some restructuring in Aditya Birla Nuvo Ltd that has interest in a range of businesses from fertilizer to financial services. When did the Grasim restructuring exercise begin? Was this triggered by Larsen and Toubro Ltd deciding to sell its residual stake in UltraTech? No. We have finished our 15 million tonne expansion, the largest expansion done anywhere outside of China by any cement company. This is the most logical point in time (for this restructuring). The growth in the cement sector in India will be much faster as the country has to build on its infrastructure and become a superpower. You need more structure that gives you more financial flexibility to expand capacities. This structure gives us the firepower to do that. Does it mean you are also looking for some aggressive acquisitions? We believe we can grow twice as fast as we could in the existing structure. Multinational cement firms with deep pockets are eyeing emerging growth markets. Is this restructuring an effort to match them? They’ve been around for some time now. We have very close understanding of the cement business across the country. We have a long-standing presence in the sector. We don’t see them as a threat and this is not a sector where you have the MNCs coming for the first time. They’ve been around for more than seven-eight years. What does it mean for Grasim? This move gives us the ability to grow twice as fast. The control of the cement ventures will continue to be through Grasim. The economic interest will remain the same. I think there will be very strong rerating for UltraTech. Maybe with a lag, it will also favourably impact Grasim. Will you stick to a single brand? Yes. We will have a single brand which enjoys very good recognition across the country. Do you see the transaction giving you a premium? The brand will continue to get a premium but more than that I believe the stock will get a rerating. Its been trading at lower levels (enterprise value per tonne). That rerating will be substantial. What is your feedback from investors after the proposal was announced? The investors took some time to understand the proposal. Investors would probably be looking at Aditya Birla Nuvo and expect a similar recast? Nuvo has always been a conglomerate. If there is any structuring possible that could add value, we’ll look at that. We are always open and looking at different options. Have you sighted any new businesses? No, I haven’t. Nuvo has a lot of business plans. We would not like to stretch it beyond that. I think our plate is full now. Among the existing businesses, Novelis Inc. (the world’s largest aluminium can maker, acquired in February 2007 for $5.9 billion) has turned around very well. All our efforts in the last two years are bearing fruit.